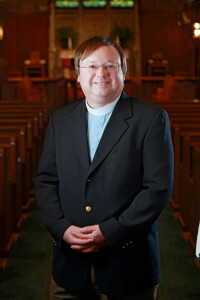 Kent became the sixth rector of St. Luke’s in January of 2008, coming from St. Luke’s Episcopal Church, Hilton Head Island, South Carolina where he had served eight years as Associate Rector. Kent graduated with a Master of Divinity from Trinity School for Ministry, Ambridge, PA, and in 2012 received a Doctor of Ministry degree with a special focus on spiritual formation in an increasingly postmodern world, from Fuller Theological Seminary in Pasadena, California. His undergraduate alma mater is the University of Michigan. He previously worked in Michigan and Pennsylvania on campus staff for Inter Varsity Christian Fellowship, an interdenominational collegiate ministry, and as a small business computer consultant. 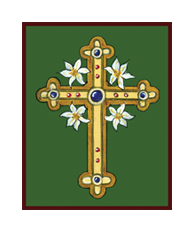 In the diocese of New Jersey, Kent has served on the Diocesan Council, as a faculty member for the School of Deacons and on the Bishop’s Commission on Liturgy. Kent married his wife Joy in 1987 and they have two sons, Philip, who graduated with a mechanical engineering degree from Purdue University but is presently serving as a campus staff member with international students through Inter Varsity Christian Fellowship at Purdue, and Stephen, who received a degree in vocal performance from Indiana University. Joy works per diem as a Speech Language Pathologist and as a paraprofessional at Bernard’s High School. Kent enjoys golf, tennis, jazz piano, watching University of Michigan sports (Go Blue!) and having grown up in Pittsburgh is a die-hard Pittsburgh Steelers fan. Karen has been employed with the Visiting Nurse Association of Somerset Hills as their hospice chaplain since 2012. The emphasis of her current ministry is to offer personalized spiritual care to those who are at the end of their life and also bereavement counseling to their families. She works on the hospice team advocating for those who are in need and provides companionship and emotional support to her patients and their families. Karen is responsible for the spiritual care training of the hospice staff, the home health aides, the hospice volunteers, local clergy, nursing home staff, and many within the community. She can often be found giving presentations and lectures on the spiritual and ethical issues involved with the dying process. 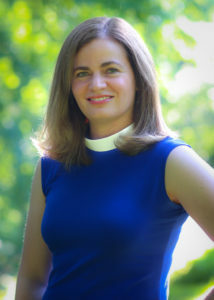 Karen has earned a Master’s of Biblical Studies from Drew University with a concentration on biblical exegesis of the Greek and Hebrew texts. She also earned a Master’s of Divinity from Princeton Theological Seminary. In addition to this, she has achieved four units of Clinical Pastoral Education. Clinical Pastoral Education, or CPE, is an intensive training program for chaplaincy in healthcare settings. Karen is married to Robert Lewis and they live in Far Hills with their two children Charlotte and John who are both students at Bernard’s High School. In her free time Karen believes in practicing self-care. She uses her hobby of photography as a meditative practice. She also greatly enjoys taking spin classes daily.